short girl, long island. 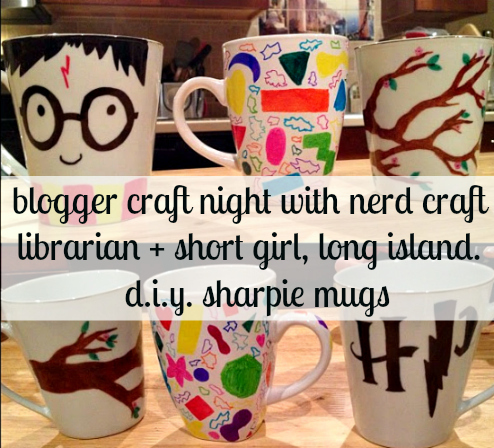 : DIY Sharpie Mugs. Sarina + I finally got together for a long overdue craft night. Head over to Nerd Craft Librarian to see how Sarina, Morgan + I made these fantastic beasts! I have been meaning to try this DIY craft. This post has motivated me to get my rear in gear! I LOVE the HP mug so much! that harry mug is the greatest mug i've ever seen. ever.